Delmar, a part of Cengage Learning and a leading provider of lifelong learning products and services for the technology and trades, health care, and career education markets, today announced two new courses as part of the Professional Technician Training Series. The brand new Parts Specialist and Service Consultant courses focus on ensuring that technicians know how to work with customers and that much needed repairs do not go unperformed. All of the courses in the Professional Technician Training Series are available in both CD-ROM and web-based formats allowing users to choose the format that suits them best. These courses engage technicians and optimize information retention through the use of true-to-life animations and interactivities. Each course in the series contains the most up-to-date theory, application, and diagnostic material needed for today’s technicians to perform their jobs to the best of their ability. These courses were designed to follow the competency guidelines set forth by both the National Automotive Technicians Education Foundation (NATEF) and Automotive Service Excellence (ASE), resulting in quality education that meets the needs of the industry. To better ensure that the material is understood and best retained, each course contains end-of-section review questions, as well as a comprehensive review at the end of the course, awarding a printable certificate of completion to each user who achieves a score of 80 percent or higher. For more information on the series, please visit http://www.techniciantraining.com. 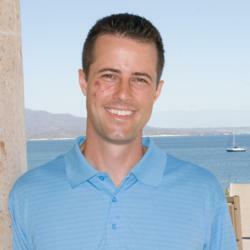 For more information on Delmar’s training solutions, visit http://www.trainingbay.cengage.com. Cengage Learning delivers highly customized learning solutions for colleges, universities, professors, students, libraries, government agencies, corporations and professionals around the world. Delmar, part of Cengage Learning, is the leading provider of lifelong learning products and services for the health care, technology and trades, and career education markets. Delmar’s market-leading imprints include Autodesk Press, Chilton, Milady, NetLearning, OnWord Press, Singular Publishing Group, and West Legal Studies. For more information please visit http://www.cengage.com or http://www.delmar.cengage.com. This entry was posted in Which Open Source Blog and tagged Automotive, Course, Delmar, Expands, Interactive, Offerings, Series, Technician, Training on February 2, 2013 by Administrator. After a lot of buzz, MobileHomeParkClassroom.com has announced they have completely upgraded their popular property management training program for mobile home park owners and on-site property managers. An affiliate program has also been added to the course. Mobile Home Park Classroom teaches mobile home park owners and property managers how to manage mobile home parks. The course is based on over three generations of experience in the mobile home park business both as investors and property managers. The comprehensive course covers each aspect of managing a mobile home or RV park and is designed so a park owner can use the program to train his current and future on-site managers. “Everything from what to do before you take over to how to find a superstar on-site property manager to the specific steps to manage that manager from anywhere are included.” said course creator, Jason Ayers. The course combines on-site interviews, role-play videos, templates, and lessons which can be played on a desktop, laptop, iPad or iPhone. Several plans are offered to make the course within reach of every park owner and property manager. This entry was posted in Which Open Source Blog and tagged adds, Affiliate, Classroom, Course, Home, Mobile, Park, Program, Training, Upgrades on January 3, 2013 by Administrator. Starting September 16th, 2009, Joomla! Basics classes will take place from 9 a.m. to 3:30 p.m. in Harleysville, PA at the Peter Becker Community Conference Center. Lunch and snacks are provided. Participants are encouraged to bring a laptop. Attendees will be provided tutorials and links to the latest utilities including an SEO/SEF checklist to maximize your site’s visibility and effectiveness. Joomla! makes content, categories, and menus easy to manage without costly web editing software. Topics also covered include blog layouts, polls, contact directories, facebook and twitter implementation, link creation, image slideshows and user forms. Joomla! Basics is for web design enthusiasts as well as business and non-profit administrative staff who need a no-nonsense business oriented approach to Joomla! CMS training. Sponsored by Sitecats Web Development, Southeastern PA’s authority on content managed websites for over 110 area businesses and non-profit organizations. Father and son team John and Jeremy Ralston have a combined 26 years of web development and business applications experience and serve as your instructors. Upon completion of this 6 hour course, attendees will have a hands-on working knowledge of publishing new content, creating sections and categories and related menus. Sitecats stresses business usage and leaves out the tedious technical details, resulting in an informative and fun way to retain this valuable and important information. See Sitecats website or visit gotjoomla.com for more information and details. This entry was posted in Which Open Source Blog and tagged Area, Basics, Businesses, Course, Joomla, Lehigh, Metro, Philadelphia, Provide, Sitecats, Valley on December 29, 2012 by Administrator. Red Comets New Updated Online Curriculum for High School Unveils Enhanced and Revised English Language Arts Course on Reading. Red Comets enhanced and updated online high school course on English Reading provides students with skills and strategies to improve their vocabulary and their reading comprehension skills, including methods for comprehension repair, creating graphic organizers, and steps to determine the themes and main ideas of literature. The course allows students to use their skills through various literary analysis exercises and teaches students the importance of using proper research material, as well as providing suggestions as to how to locate research materials. The course provides an understanding of evaluation and communication techniques. 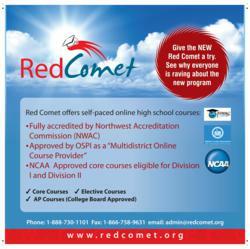 Red Comet offers a complete online program that is both rigorous and engaging. Red Comet is approved by the Office of Superintendent of Public Instruction (OSPI) in Washington State as a Multi-District Online Course Provider and as a Multi-District Online School Program Provider. Red Comets online program excels not only in the breadth of its offering but also has received the best ratings for student satisfaction in Washington State. Red Comets online learning is engaging and presents even the most challenging topics in a way that students can understand. Students taking Red Comet’s online high school classes are challenged using a variety of learning techniques which makes learning interesting while keeping them motivated to complete their courses within the allotted schedule. Students throughout the country use Red Comets high school classes that include all core subjects Language Arts, Science, Mathematics and Social Studies, as well as numerous high school electives. A variety of students use Red Comets online learning program students in need of credit recovery, students attending public high schools who cannot attend all of their high school classes, students attending private schools who are looking for electives or Advanced Placement classes, home school high school students who need help in specific subject areas, athletes, students with part-time jobs etc. This entry was posted in Which Open Source Blog and tagged Arts, Comets, Course, Curriculum, English, Enhanced, High, Language, Online, Reading, Revised, School, Unveils, Updated on December 21, 2012 by Administrator.